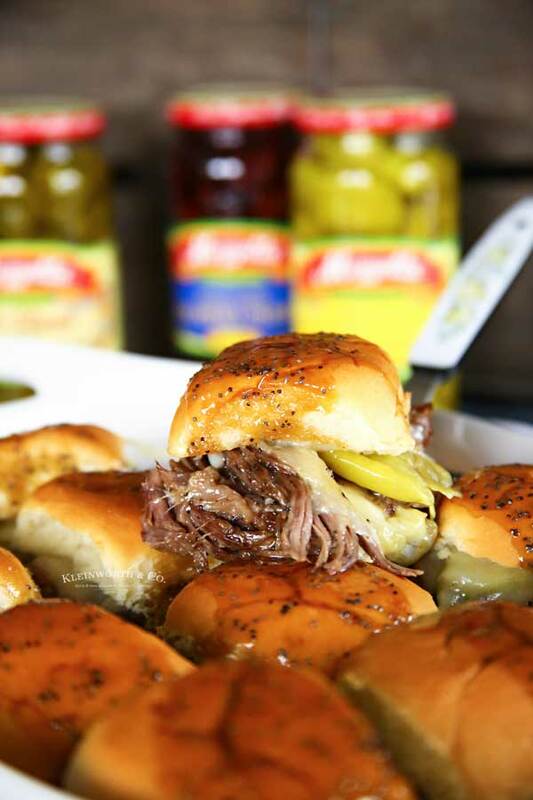 Pressure Cooker Italian Beef Sliders are loaded with melted provolone cheese & peperoncini peppers. 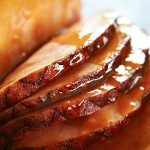 Perfect for game day, these are a hit! 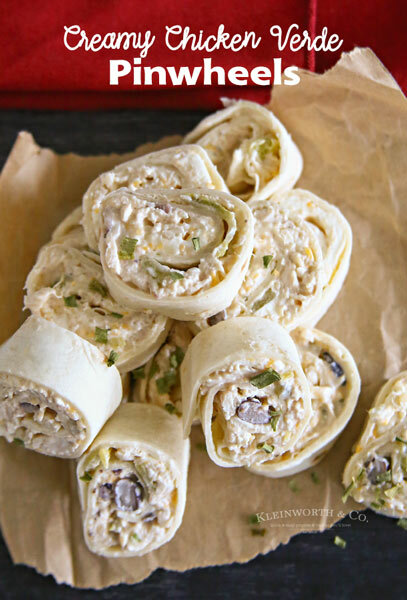 Who loves awesome game day snacks? 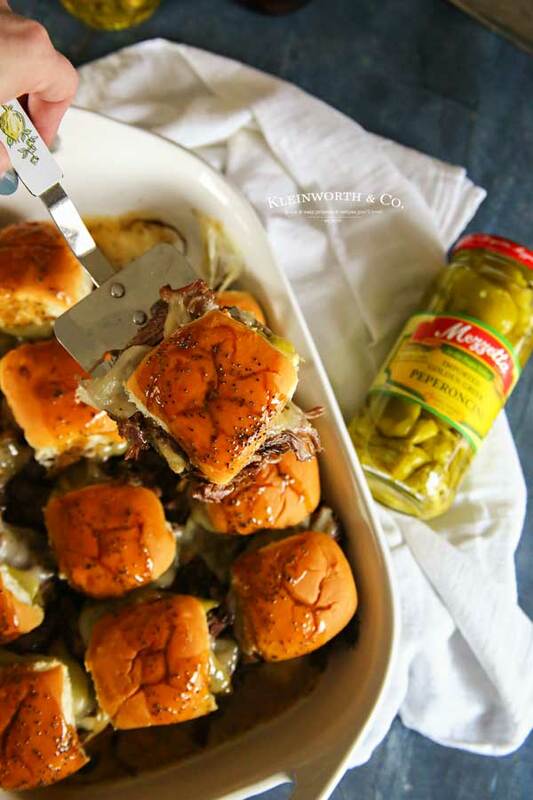 They are a favorite in this house, especially when they are as easy & delicious as these Pressure Cooker Italian Beef Sliders. This post is sponsored by Mezzetta. All comments and opinions are my own. When it comes to snacks, we go all-out on game day. We break out all our favorite recipes and feature a big party spread. Gameday is where we can all come together and have quality family time over good food and entertainment. 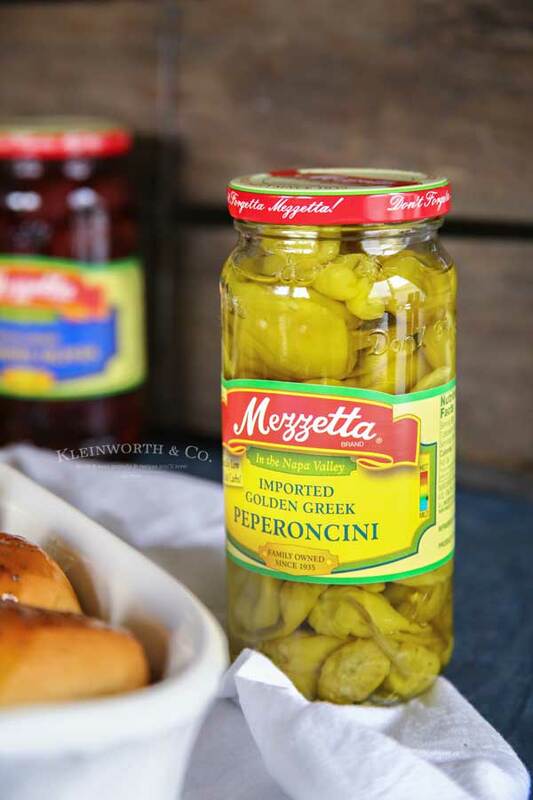 One thing that is always in abundance, peperoncini peppers from Mezzetta. 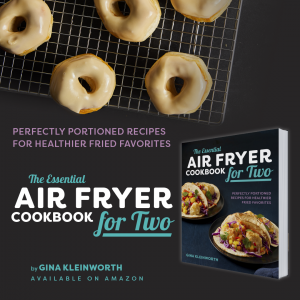 My family absolutely loves them, so any recipe that includes them is a hit in this house. 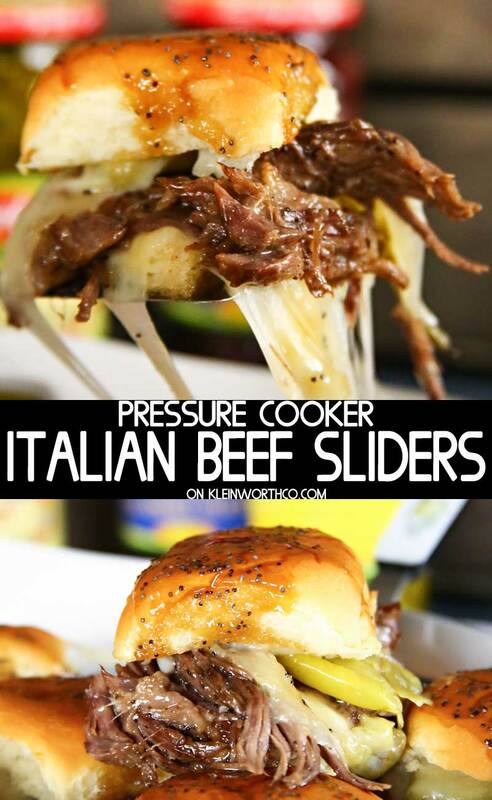 They are particularly delicious in this Pressure Cooker Italian Beef recipe. 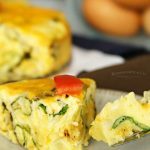 Why choose Mezzetta peperoncini peppers? For me, the authenticity of the Mezzetta products is important. 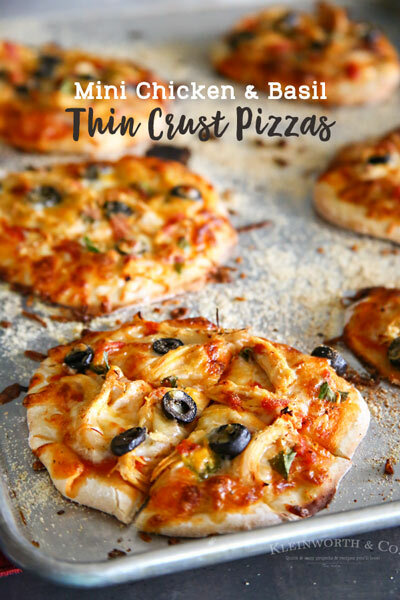 They use fresh & simple ingredients which translates to top quality for my family. Mezzetta peperoncini peppers are a crisp golden pepper with just a hint of heat & are grown in both Tuscany & Greece. 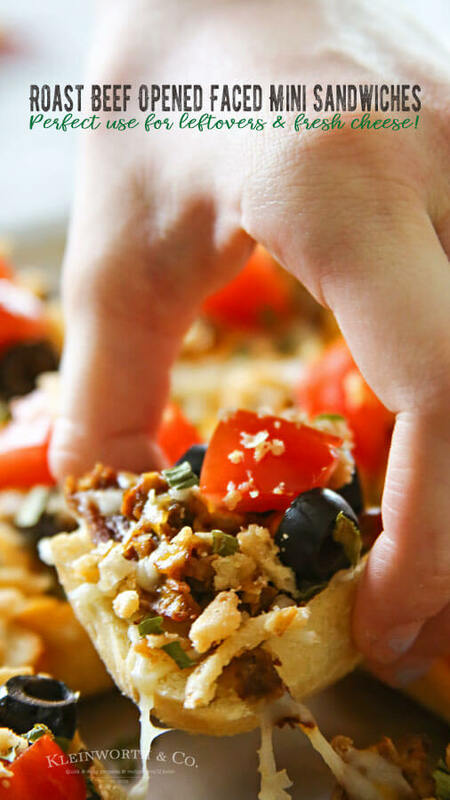 Mezzetta’s are made exclusively from the Greek variety, which are sweeter than those from Italy. Absolutely. 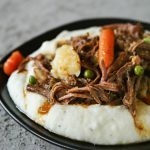 Check out my Mississippi Pot Roast recipe here and follow those directions. 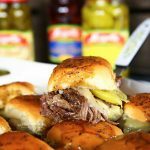 We just prefer using the pressure cooker because it makes these sliders ready to eat in a short amount of time. Cut each chuck roast into 3-4 large pieces & place in the bottom of the pressure cooker. Add all of the seasonings. Place the lid on the pressure cooker and set to seal. Cook 60 minutes and then allow for a natural release for another 15 minutes. 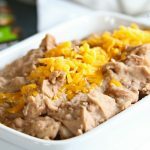 Remove meat and shred in a large bowl. Slice the slider buns in half. Spray casserole dish with olive oil. Place the bottom half of the slider buns in the prepared casserole dish. Add cheese to each slider bun. Top with shredded beef and peperoncini peppers. Add more cheese and the top of each slider bun. In a small saucepan, combine butter, brown sugar, Worcestershire sauce and poppy seeds and bring to a boil. 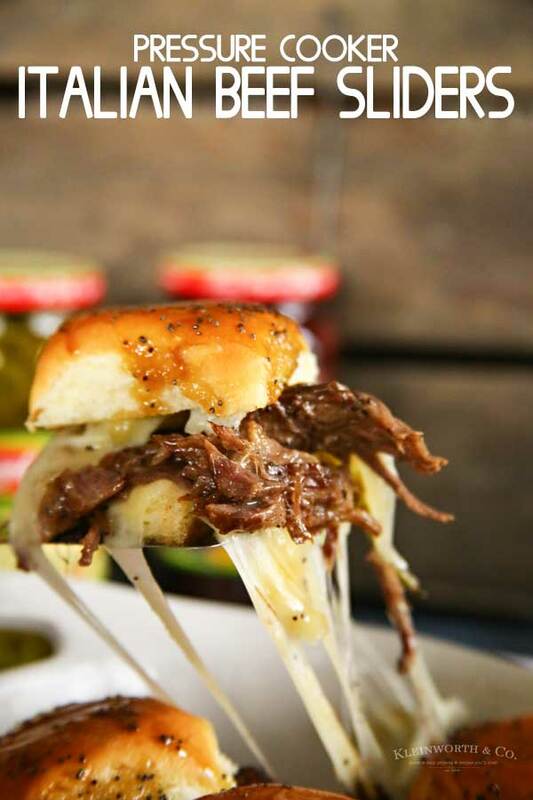 Remove and immediately pour over the top of the prepared sliders. Bake 5-10 minutes, or until cheese is melted. Don’t these look like the perfect addition to your game day spread? 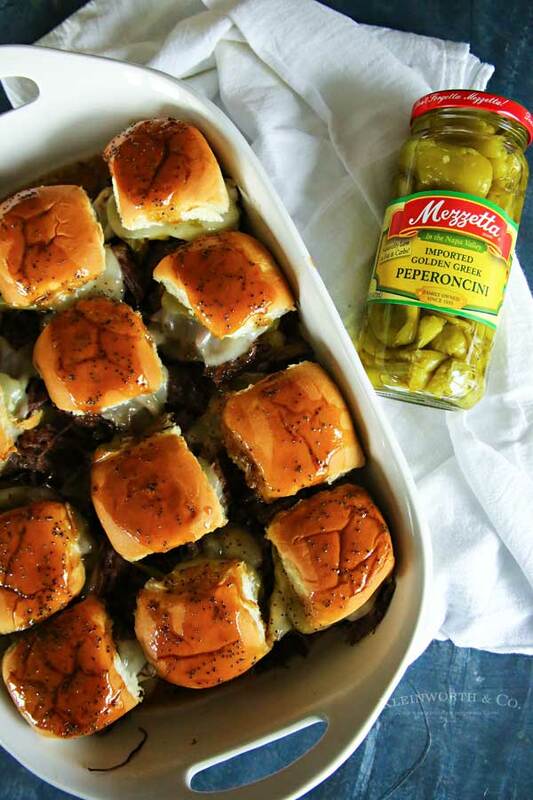 Be sure to visit Mezzetta for more recipe inspiration. 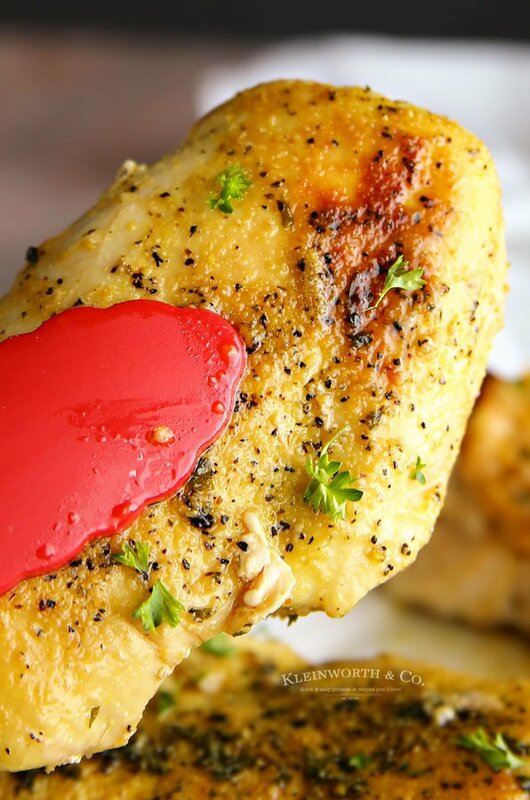 Looking for more great recipes to add those peperoncini peppers to?? Top with shredded beef and pepperoncini peppers. In a small saucepan, combine butter, brown sugar, Worcestershire sauce, and poppy seeds and bring to a boil.